Beyond a shady pine forest, walking through dense juniper bushes, you'll come upon the brightly coloured countryside of Rena Majori, a strip of white, incredibly find sand that slips into an enchanting coloured sea, bordered by dark rocks and light granite. In the area of almost the same name, Rena Majore, in the territory of Aglientu, is part of the natural site of Monti Russu. The sea, made of light and dark brush marks of blue, acts as a "magnet" for children with its rocks and small pools. As well as having a gently sloping gradient perfect for less expert swimmers, the sea bed at Rena Majori, with its bright colours and full of fish, is a favourite with divers and snorkelers.The coastline is broken by the mouths of the Rio Cantaru and the RiuoCiuchesa, which "cut" the strip of sand into three parts, making the shore even more suggestive. It is rarely crowded and has been used for several advertising campaigns, including one with Australian actress and model Megan Gale. 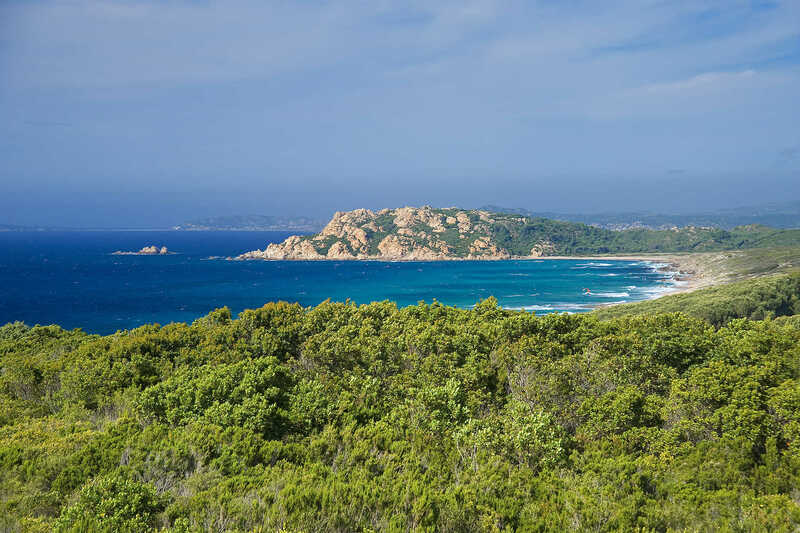 Behind the beach, a vast pine forest shelters you from the wind and offers a relaxing refuge on hot days. For the more romantic, don't miss a long walk on the beach during a spectacular sunsets. A large car park, campsites and beach equipment for hire complete the scene. 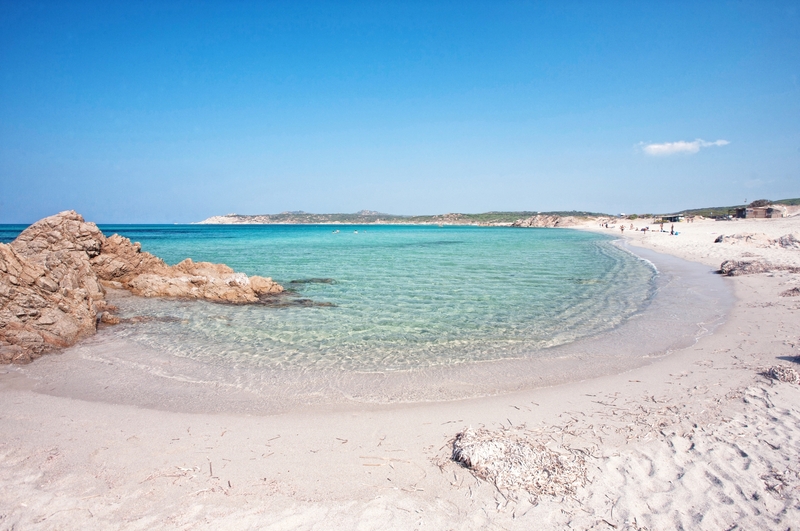 Rena Majori is only eight kilometres from Santa Teresa Gallura and its "town" paradise Rena Bianca, a 700 metre cove with shallow water and soft, white sand, a clear sea with stunning colours. On the way out of town, before arriving at Rena Majore, you'll come to the peninsula-promontory of Capo Testa, joined to the mainland by a strip of sand that forms two beaches - Rena di Ponente (or Taltana) and Rena di Levante - and the spectacular Valle della Luna and Cala Grande. 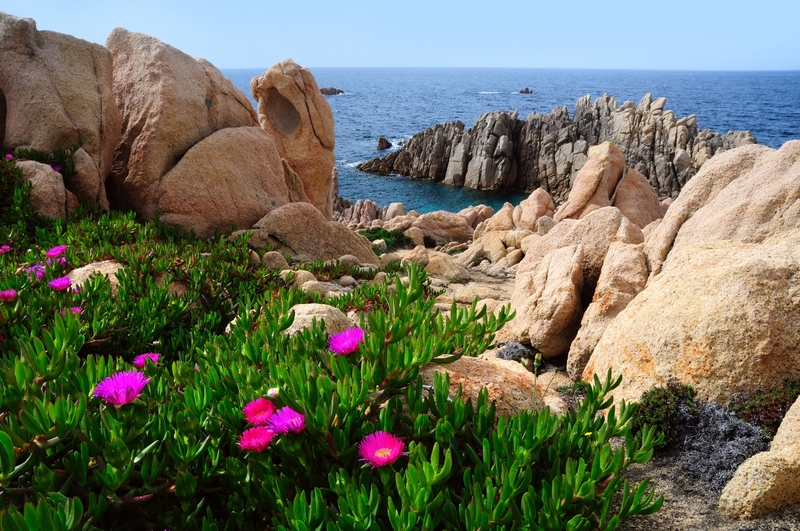 Continuing along the shore towards Aglientu, you'll find the rocky coves of Santa Reparata and the enchanting Lu Pultiddolu. Rena Majori is found at Lampianu in the commune of Sassari. 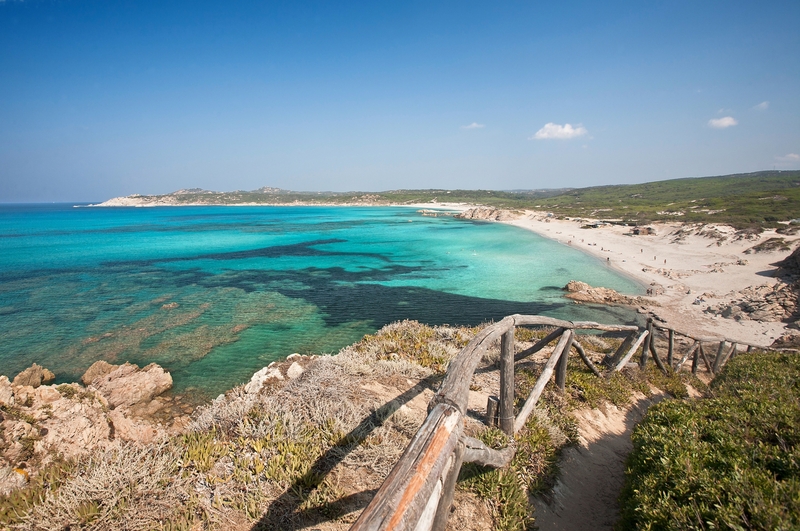 To reach the beach, follow the provincial Road 57 in the direction of Stintino and 800 metres after the turning for Lampianu, take the road that leads to the ex- Nurra holiday village . continue on from here for 400 metres and then turn right along 500 metres of dirt track that leads to an open space.